I respect turning “trash to treasure” and the people who have an eye for it. 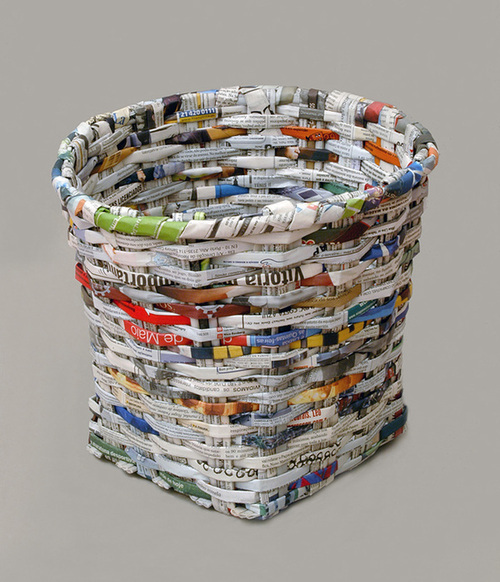 So I wanted to share amazing pieces that show the creative possibilities of recycling. … This project is about more than creative eco-friendly reuse or sustainable material innovation – it is about reclaiming private garbage and turning it into public outdoor furniture. 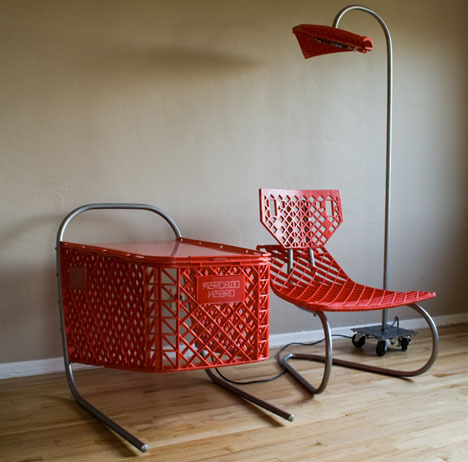 Another shopping cart modeled chair. 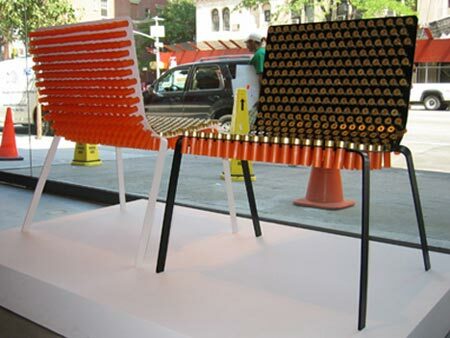 Created from 10,000 ordinary drinking straws, this chair is anything but. 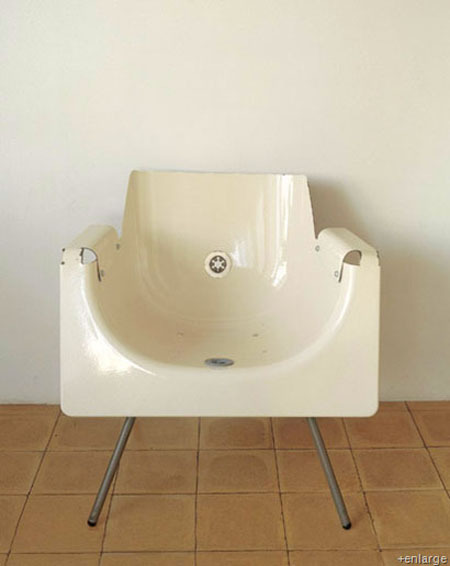 The chair which reflects on disposable contemporary culture was chosen as Curators Choice at Noise Festival 2008. An odd dichotomy of comfort and demise is prevalent in this combination of furniture and weaponry. This may be one of my favorites. 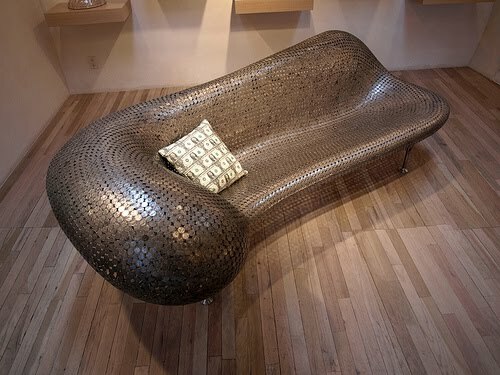 This sofa was created from 6,400 nickels and weighs 125 lbs. Vermont-native artist Johnny Swing made over 35-000 welds to create this sleek masterpiece. 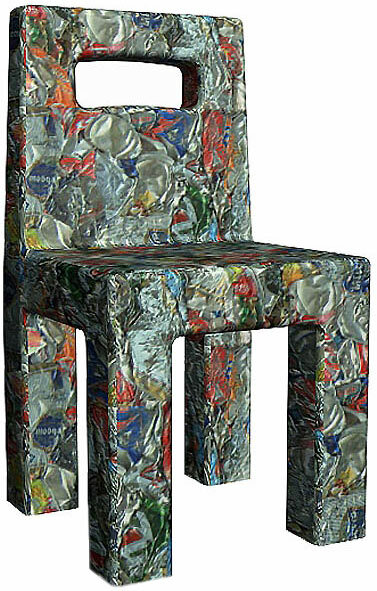 Created by Amir Zinaburg from Israel, this chair is made from melted aluminum cans. This is an easily appreciated concept. The armchair is naturally weather resistant and consumers say it is surprisingly comfortable. The phrase “A la lata,” translates as ‘to the can’ in Spanish. 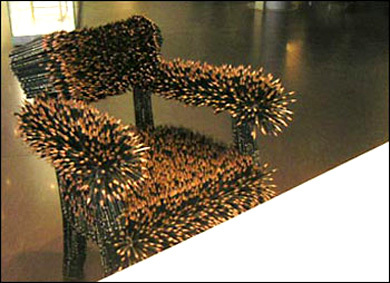 Artist Carlos Alberto Montana Hoyos used 1739 pulltabs and zip ties to create the hip chair. Like my recent post about pencil sculpture, German artist Kerstin Schuz finds beauty in the same material. However, I can’t say this one looks usable. 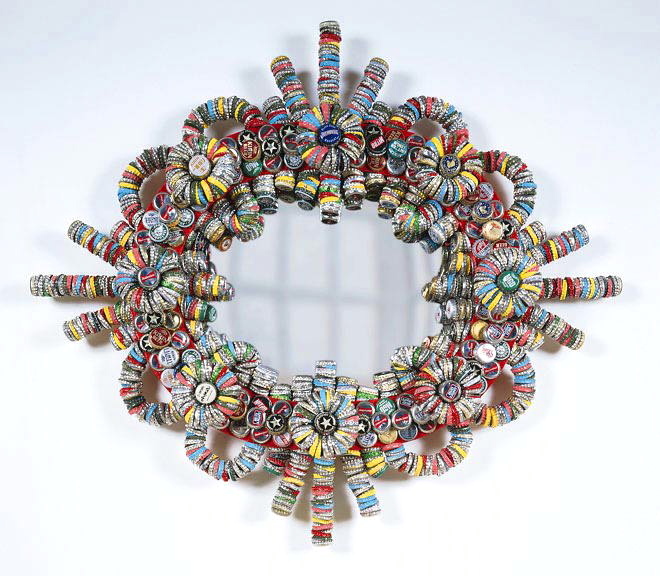 This Baroque-esque mirror was modeled with thousands of bottle caps recycled by Rick Ladd from a local bar. 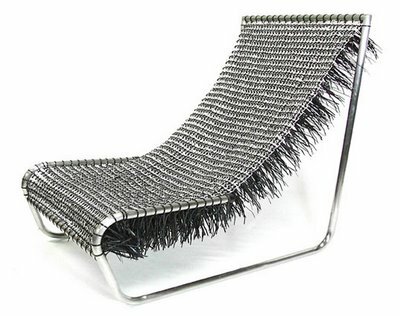 The frame of this chair is constructed of aluminum bicycle rims. So what to do with all those pens post-graduation? This chandelier was made from pens that have been dried out custom-made for a nightclub in Portugal.